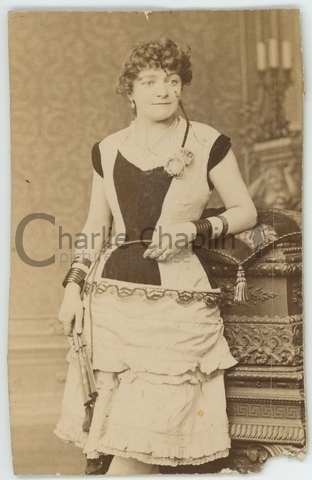 Charlie’s mother, Hannah Harriet Pedlingham Hill in stage costume. She performed under the name Lily Harley. 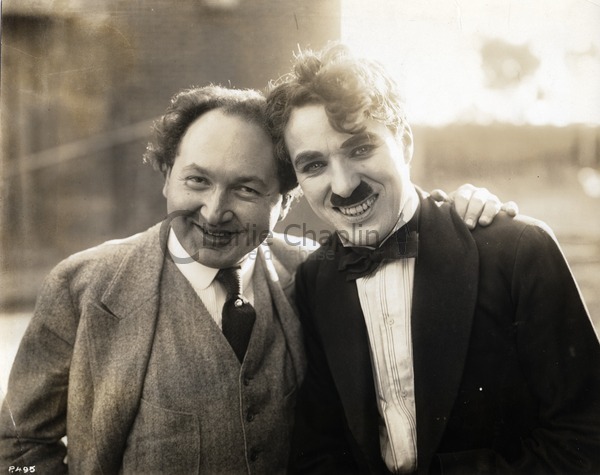 He also recalled seeing his father, a well known vocalist also called Charles Chaplin, perform at the Canterbury Music Hall; and recounted how at home, in the happier times, his mother would regularly entertain him and his step-brother by singing, dancing, reciting and imitating other artists. His own very first appearance on the stage, at the age of five, was precipitated when his mother was performing before a tough audience, mostly made up of soldiers, at the Aldershot Canteen. When her voice cracked and she was unable to continue, Charlie was pushed on in her place. Already a natural performer, it seems, he sang two current song success, pausing in between to pick up the coins thrown by the surprised and amused audience. 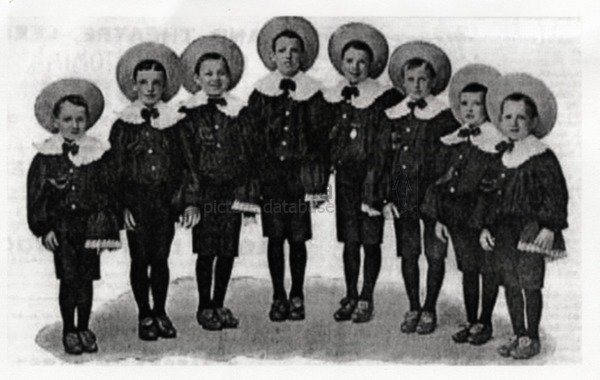 In 1898, aged 9, Charlie began his own career in English music hall, with a troupe of juvenile clog dancers, “The Eight Lancashire Lads”. 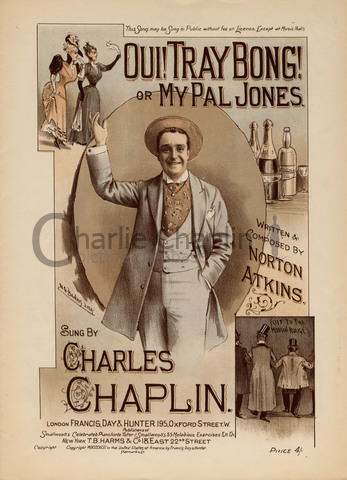 He was to remain in the theatre, alternating various jobs and periods of unemployment, until he ended up as one of the stars of Fred Karno’s comedy sketch companies. With Karno’s companies he went to America to tour vaudeville circuits that spanned the continent. His powerful response to music clearly influenced his comic pantomime, which from the start was marked by a strong rhythmical and balletic character. 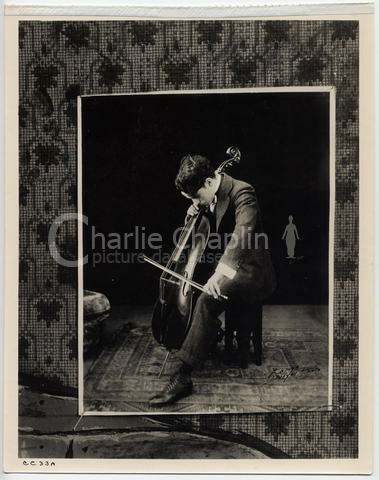 In Paris at the Folies Bergère, Debussy asked to meet Chaplin - still barely 20 years old - after seeing the Karno show, and told him : “You are instinctively a musician and a dancer”. 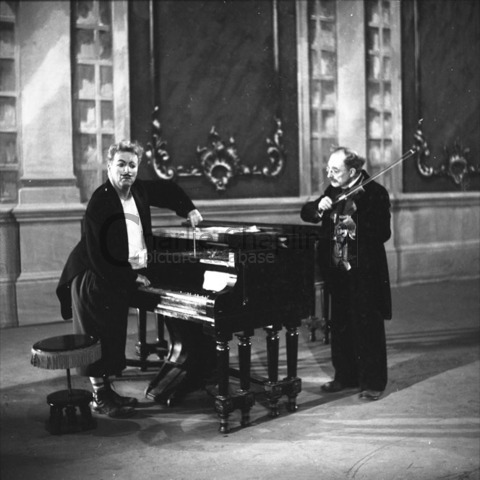 At the time, Charlie had no idea who was paying him such a compliment, but in his autobiography remarked that it was the very year “Debussy introduced his Prélude à L’Après Midi d’un Faune to England, where it was booed and the audience walked out”. 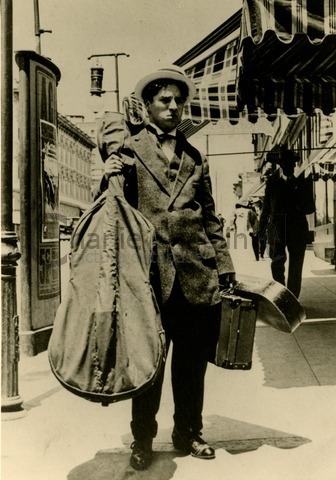 At the end of 1913, Chaplin left Karno to remain in America and work in moving pictures. At one point in his early career he went to the Metropolitan Opera House in New York to see Tannhäuser. 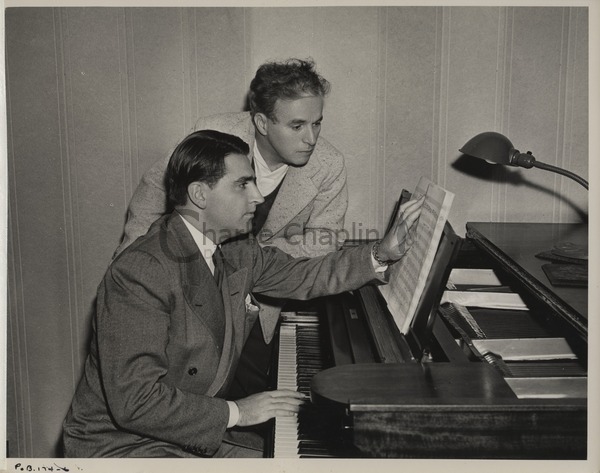 In fact the Charles Chaplin Music Company closed shop after publishing his first three compositions: “Oh! That Cello”, “There’s Always One you Can’t Forget”, and “The Peace Patrol”. Film remained his most important concern, and in 1918 he built his own studios where he could exert total production control. He frequently wrote theme songs which were published to coincide with the release of the films. Notably, when The Gold Rush was released, he recorded its theme songs with the Abe Lyman Orchestra. In the silent period it was usual to commission professional arrangers to devise suitable musical accompaniments for major films. These were generally compiled from published music, and then performed live by whatever instrumental combinations each individual cinema could afford. “Film music must never sound as if it were concert music. While it actually may convey more to the beholder-listener than the camera conveys at a given moment, still it must be never more than the voice of that camera”. 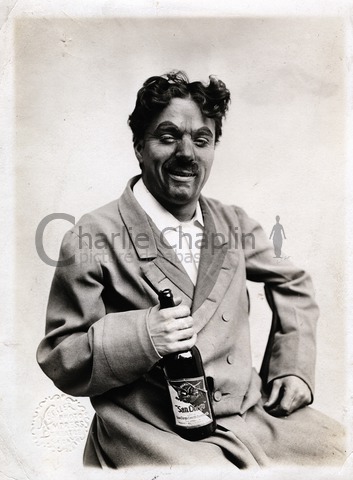 “I have never met a man who devoted himself so completely to the ideal of perfection as Charlie Chaplin. (…) I was constantly amazed at his attention to details, his feeling for the exact musical phrase or tempo to express the mood he wanted… Always he is seeking to ferret out every false note however minor from film or music”. In 1942 he returned to the 1925 The Gold Rush replacing the inter-title cards of the silent film with his own voice-over narration, and adding a musical score. Later he took obvious pleasure in creating the pastiches of Edwardian music hall songs and acts for Limelight and, in contrast, writing parodies of 50s “pop” songs for A King in New York.The love for pastiche and parody is not limited to the music - his lyrics too are full of humour and word-play, for example, “I don’t want to be a tree, sticking in the ground, I’d rather be a flea”, “If I could only find a will to get away” or “I despise you, idolise you, I adore you, I implore you…” The infinite pleasure to be found in listening to these songs no doubt stems from the pleasure Chaplin clearly took in writing them. Later in his life, by this time living in Switzerland, he composed and recorded music for all his films made between 1918 and 1923. 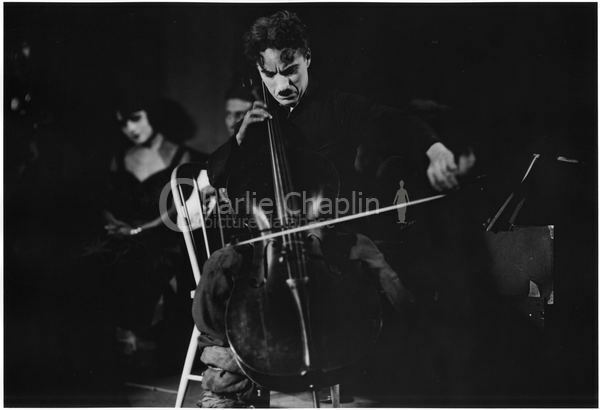 The Chaplin family archives hold many audio tapes of Chaplin working alone on the piano, improvising and humming as he composed. He once said that even if he did not remember how a tune went, he could remember the pattern it made on the black and white notes of the keyboard. 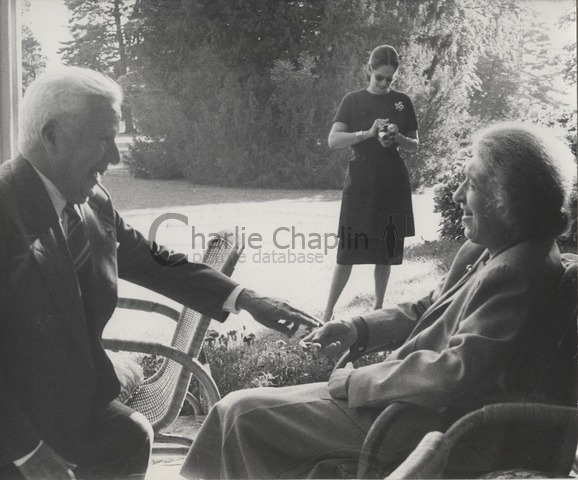 In his family home in Switzerland, Chaplin continued to the end of his life to develop his love and knowledge of music and to entertain musicians, among them Arthur Rubinstein, Isaac Stern, Rudolf Serkin, and Clara Haskil. His daughter Josephine has nostalgic memories of how, regularly after supper, he would insist that the lights were turned off, and that the family listen by candle-light to record after record of classical music. Music had, indeed, “entered his soul”.